Eau Fraîche Eau de Toilette is a fresh chypre. The precursor to fresh fragrances has become a classic scent defining elegance, freshness and well-being. ESSENCE OF SICILIAN MANDARIN: All Mediterranean countries grow mandarin trees, but the best mandarins are produced in Sicily. The different colors of mandarin, yellow, green and red, correspond to the different stages of ripeness. Essence of mandarin is a citrus note, offering fragrances a fresh and fruity accent. Mandarin is the exotic top note of Eau Fraîche. ESSENCE OF BITTER PETITGRAIN: Grown in Paraguay, petitgrain is obtained by distilling the leaves and reeds of the bitter orange tree. It is used as a base in colognes. Fresh, green, invigorating with a hint of bitterness, petitgrain reveals its floral accents as the heart note of Eau Fraîche. ESSENCE OF INDONESIAN PATCHOULI: Patchouli is a plant originally from Indonesia and Malaysia. A key element of the perfumer's palette, its essence is obtained by steam distilling the dried leaves. It embodies both feminine and masculine sensuality as a base note in Eau Fraîche. 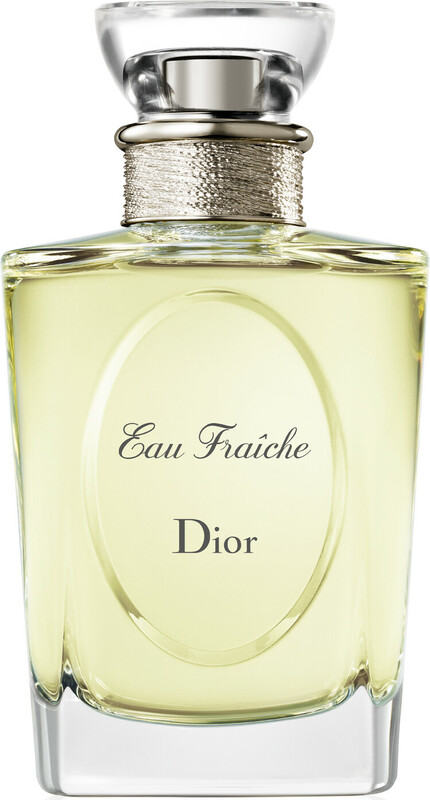 DIOR Eau Fraiche Eau de Toilette Spray 100ml is rated 5.0 out of 5 by 1. Rated 5 out of 5 by senhora96 from Lovely I first used this perfume in my teens, and loved it, if I remember rightly it was suitable for men and women. It was so fresh, it never was overpowering or strong. It just disappeared when I was a bit older, can't think why they took it off the market. Anyway, I am now in my sixties, and rediscovered it about six years ago, to my great joy. I bought it this time through Escentual, and it was cheaper than the high street, and was delivered within two days. Delighted.